Anne & Myles spark smiles every time they come to MPWR. They are no stranger to discipline – for 12 years, Anne would run 6 miles a day. On their first trip together, they biked 300 miles to Nova Scotia. Now that’s an epic date! Anne graces our Barre classes every Tuesday and Saturday. Despite navigating the stresses of selling her practice (congrats! ), she comes to class with a joy and determination. 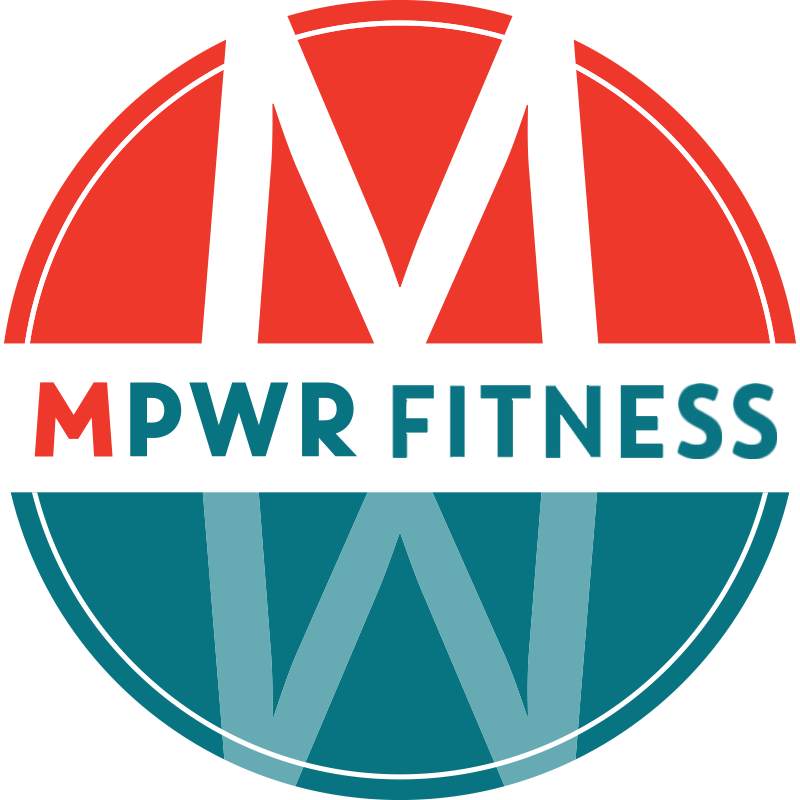 Myles is a true MPWR brand ambassador. He comes almost every day to an MPWRFit or CrossFit class. He greets his fellow athletes by name, and is never shy to share updates about his family. Congrats to Anne & Myles for inspiring us to stay positive and stay fit! Rita & Zach are the dream team! They workout together at every 6am CrossFit together (coffee packed and ready). Rita is a true MPWR brand ambassador. As a nurse practitioner, she likes to practice what she preaches – eat healthy and work out to avoid reliance on meds. She’s been coming to MPWR with a smile and can-do attitude ever since we opened! 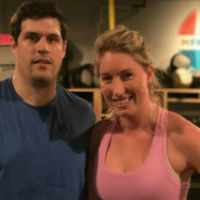 Three months ago, she convinced Zach to join – and now he’s getting fitter and feeling better every day. A native of Connecticut, Zach’s family and flooring business are what brought them here from Boston. Not only are they a team in family and fitness – they also flipped their first condo together! Check out Rita’s Instagram @ritatattaaa for some fitspiration. Congrats to Rita & Zach for showing us strength and teamwork! Diane is an unstoppable force. Obsessed with exercise since the age of 5, Diane has done it all – bootcamp, CrossFit, strength competitions, spinning…and hopefully a Spartan race next year! As a member of MPWR for a year, she has continuously worked on her goal of getting back into running shape after a recent knee surgery. Her dedication and determination is infectious. When she’s not working on her fitness game, Diane works as a Yale financial analyst (she loves how close MPWR is to her work), does ministry work with the Christian motorcycle association, and is enjoying her life as a first-time homeowner. At MPWR, she enjoys pushing her limits to new heights (and weights!) 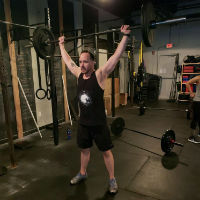 in CrossFit and MPWR Strength. She was happy to be one of the welcoming faces to Coach Sharon from their old CrossFit box. Diane loves MPWR’s diversity, and how each coach brings a different “flavor” to class. Congrats to Diane on celebrating her 1 year gym-aversary with MPWR! Kevin brings discipline to another level at MPWR. He is an OG member – he has been with us since MPWR first opened! 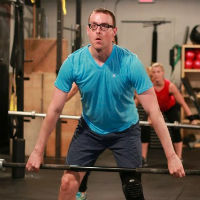 An enthusiast of olympic weightlifting, Kevin is not afraid of barbells and loves using them for total-body workouts. Every weekday, he arrives at least ten minutes early to class, eager to meet the challenges that Coach Michael and Coach Bryce give him in CrossFit class. He also enjoys MWPRFit classes as part of his cardio routine, and MPWR Strength to mix things up. When he’s not at the gym, Kevin works as a physician associate in Infectious Disease. Unlike some other MPWR regulars, Kevin did not begin his fitness routine in childhood. Rather, he challenged himself to get back into shape after college and a knee injury after a pick-up basketball game, and has dedicated an hour of his day to fitness for his long-term health. Congrats to Kevin on celebrating his 2 year gym-aversary with MPWR! 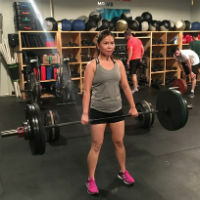 Lena is a recent convert to CrossFit after being a regular Crown St. Barre enthusiast for many months at MPWR.For one of our recent workouts, we had to do 100 burpees. As of three months ago, I had perhaps done 20 total. In my lifetime. After the first 10 burpees, I was out of breath. Then another 20, and my muscles were burning. Arms, legs, core, everywhere. By the time I reached 30, I was ready to stop. I was not even halfway, and getting to 100 seemed far out of reach. Thinking I would not finish, I slowed down and did smaller sets of 3-5 reps to pass time and wait for class to end. Slowly, I got to 40, 60, 80, and then there were *only* 20 left. The finish line became more and more attainable. That day, I accomplished 100 burpees and I felt ecstatic. The workout program changes from day to day, and at other times, I have to scale down. Like when we did the front squats. My legs were shaking as I tried to lower down with a 55 lbs barbell on my shoulders. I completed two squats. The prescribed weight was 95 lbs… fifteen times (!). Nonetheless, as I finished my set, I felt the same sense of thrill and achievement as I did when I completed the burpees because it was the heaviest I had squatted and I had met my own personal record. And that is what CrossFit is for me, pushing my limits and meeting my own goals. It has only been four months since my first CrossFit class, but I already feel stronger and I look forward to keep improving. Congrats to Lena for setting her new PR! Eric works out for the person he want to be in his 50s, not the person he wants to be next summer. After 14 years in the Army, he put tremendous wear and tear on his body. He keeps coming to MPWR because it’s a gym that allows him to focus on longevity. “I never feel pushed to compromise form or safety in order to put numbers on the board. The coaches watch us closely to make sure we are ready for certain movements and recognize that we are in different places in our fitness journeys. They encourage us to listen to our bodies so that we may avoid injury. 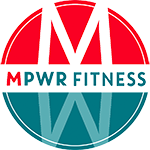 That’s what I love about MPWR.” Eric has been coming to MPWR since he found us in May to stay fit and reduce stress. Congrats to Eric on continuing to make steady progress by consistently showing up.